Watching the reds, oranges and yellows of the autumn leaves is the next best thing to watching the cherry blossoms bloom to the Japanese. 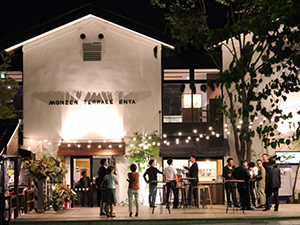 When the summer heat of August cools down and changes to chilly autumnal weather in September and October, the leaves of the trees will start changing color. 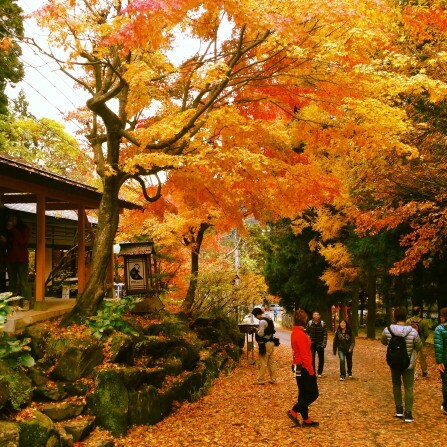 There are huge groups of people going to see the so-called ‘koyo’ or autumn color scenic spots in either cities or up in the mountains. One thing to keep in mind when wanting to see koyo is that the changing of the coloration of the leaves differs per area in Japan. 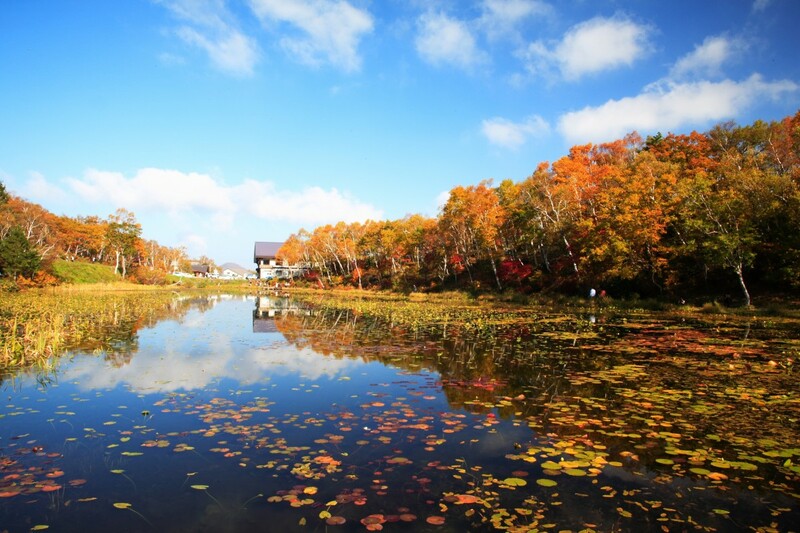 The first leaves will start to turn red by mid-September in Hokkaido, the far north of Japan. The cold front slowly moves down south. The bright reds and oranges of the fall colors will have arrived in Nagano and Tokyo by October and can be seen in the Kyoto area from around early November. By December, all of Japan will have seen autumn come by. 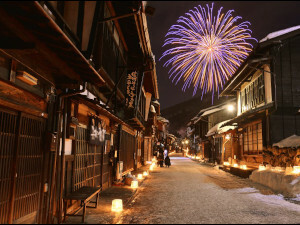 Nagano has some beautiful places where you can go to see koyo. One of them is close to Nagano City, in Togakushi. 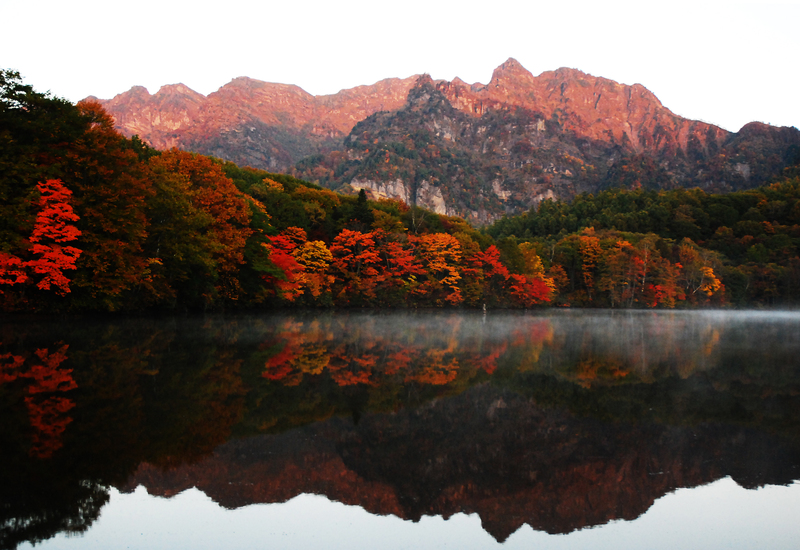 In Togakushi you will find Kagami-ike, or Mirror Lake, which reflects the brightly colored Togakushi mountain range. We offer a tour heading up to this lake including several other of the sights to see in this area. 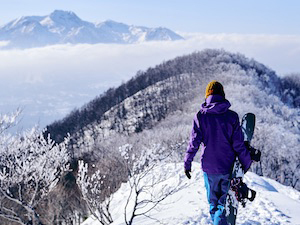 Find more information on the 1-day Togakushi Nature Hike and Ninja Tour here. 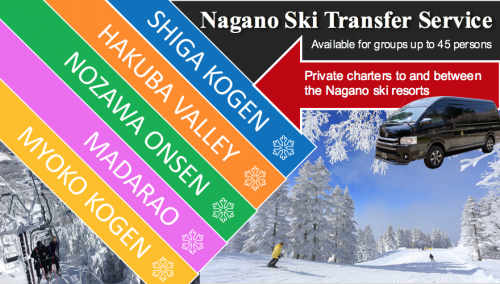 Shiga Kogen is another area in Nagano famous for its colorful scenery. 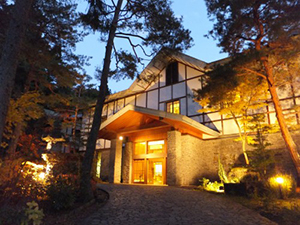 Known for being the main stage for skiing during the 1998 Olympics, the Shiga Kogen Highlands are alight with an array of reds, oranges and yellows for the duration of autumn. 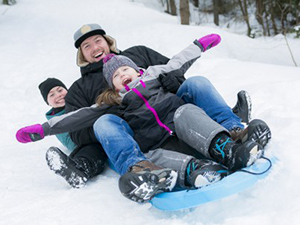 Especially the tallest waterfall of the region is a sight to be seen during this time of year. 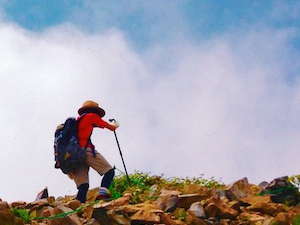 We offer hiking tours heading up to Shiga where you can enjoy the nature. If you want to know more about the contents of the tours, please take a look at our tour page.